In these tough times, it’s not always easy to find high quality and fun ways to let off some steam and ease stress. It’s harder still to find such diversions that are affordable. 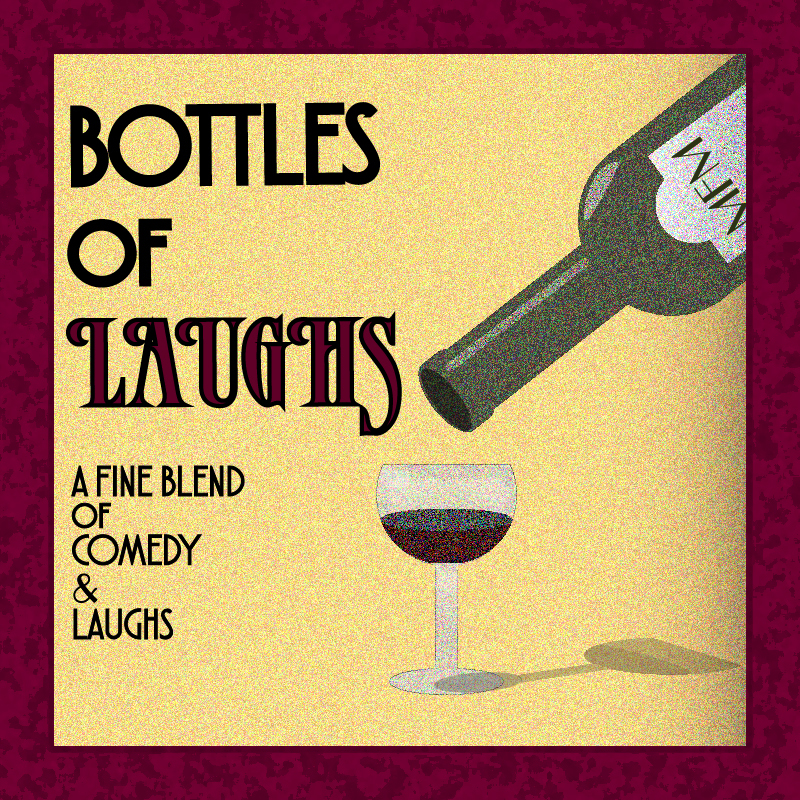 That’s what Bottles of Laughs is all about. We bring you top-shelf comics who deliver a fine pairing of comedy and laughs at a price you can afford even if you don’t have a champagne-level salary. As the White, Jewish husband of a Black woman (who converted to Judaism) and the father of a 3-year old, Biracial son, Alex focuses on the challenges of being a parent in a bad economy and the issues that confront interracial families. Alex has been featured on the Katie Couric Show, Sirius/XM Radio’s “Raw Dog Comedy,” NBC’s EVB Live, ComedyTime TV, RT TV America and NYC-TV and in The Wall Street Journal, The Huffington Post, and CNN.com. In 2011, he won the 12th Annual Gilda’s Club (Northern NJ) Laugh-Off. Francis is a comedian, actor, and writer/personality for Barstool Sports. At Barstool, he hosts the popular Sirius XM morning radio show Barstool Breakfast alongside Willie Colon. Francis frequently stars in sketches alongside athletes and celebrities, stealing the spotlight from them with his jawline, on-screen charisma, and shockingly red hair. If you're wondering where he went to college, he'll happily tell you Harvard. He performs most nights in New York and has also performed in China, Australia, Sweden, British Columbia, and across the United States. Francis often incorporates his satirical keyboard songs in his act. He is known for his dry, dark sense of humor and if you have a good death story, he'd love to hear it.